I did plan to make the quiet times after a growling 2 weeks with Mr. Wimbledon. Sometimes we need to make the breaks from what we do in our jobs. The tennis court is My office. We have a little kitchens where you can have fruit and little snacks. Ball servants that fetch you things like the interns people. Slightly uncomfortable chairs. 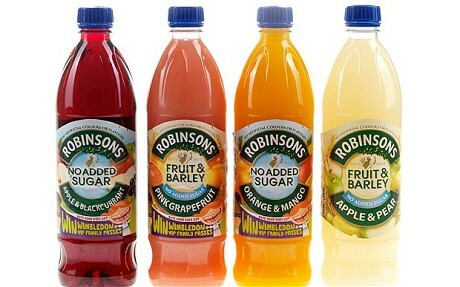 A water dispensers and, in Mr. Wimbledon’s court, we also have available a pleasant selection of fruit drinks from Mrs. Robinson. She is older than Me. So why am I making the bloggings? The name of the impersonator is Jimmy Fallon. He makes the GOAT smile, usually for the approximations of 10 minutes 52 seconds at a time. As you can make the imaginations, this is something I must enjoy a lot! I cannot remember the last time I smiled for this sort of time span. It cannot be longer than about two weeks ago. I saw on My tweetings timeline that many fans were also making the comments. Obviously everybody agreed that nobody can replicate the original Me but we should still enjoy James’s work here on this occasion. I will use internet technologies to insert the videos at the end of this note from Me and it will appear that your television has entered My bloggings! Sardinia is beautiful! I really recommend spending your time away from your office here too. Preferably on a humble private yacht. Mirky seems a bit down and says she wanted to come here a few days ago and that we came a bit late. Not sure why as this island has been here for a long time so hasn’t changed or made any evolutions. I think I am making some revealings that I do study in My hobby a lot of geneology (the study of how the earth is made up of plates). So I tried to explain to her that it doesn’t matter when we came in our life times as the plates have been here longer. OK fans. I will kick back and for once let Chef and My staff do all the work. This evening I have arranged for a private and romantic dinner for 26. Hear from Me again as I prepare for the Olympics! Strange that it was in Beijing last time, from here I will be travelling directly to Greece. Thank You for sharing Your holiday GOATish ruminations with us, Maestro. I was hohoho-ing for many minutes after reading them, they are so entertaining — especially the peek at earth sciences which You provided. I hope Mirky enjoyed the educations, too, perhaps it will cheer her up. I understand the Balearic Islands are similar geologies with the Isle of Sardines, perhaps before Your Olympic preparations You and Mirky could visit Mallorca to study the Majolica plates and the natives? Wishing You petite pleasures on the S.S. Humility! I have mae some pastes and copies and sent them to staff. Thank you 1949 one. Hola Juana. Haven’t seen Mirky all evening. I intend to make the humble discussions in the morning over a light breakfast times. Thank you for taking the time to be in touch once again. I watched you on the hill on Sunday and thought you were rather selfish. It wasn’t your turn, you know. I cried and not with joy. Hope you enjoy your budget break and that your flight to Greece is on time. You’ll like Greece…I suggest you stay at least a month. Greetings from Malaysia! I am ecstatic today…I have just had the honour of getting a post of your bloggings in my email! Please accept me into your elite group of fans; the screensaver on my laptop has 400 photos ( and counting) of your Majesty; I hope that is qualification enough. Honestly, I don’t like these people impersonating the GOA7. It is confusing to Heidi as well; it doesn’t help her recovery. Would You, dear GOA7, suggest I make her eat tennis balls as part of her therapeutic program? She is doing fine on the milk and cheese and I don’t want to risk a set back. Happy to know You are always here for us. Congrats on Your utter GOA7ness in the eternal rankings as of tomorrow by the way. I read an article on Your greatness last February suggesting that You might fly into Wimbledon Centre Court on Pegasus, surrounded by a whirlwind of dry ice. Now that You have corrected this flaw in the eternal rankings I think it would only be right. Maybe You could already arrange this for the upcoming Olympics? Only yesterday I read Your Tweetings about Mr. Wimbledon and the Olympic draw. Today I read about Mr. Nadal not coming to London. Just wondering if You are going to arrange sunshine in London, or if You might decide on rain, since Mr. Olympic Wimbledon will then close his roof for You, virtually throwing the gold at Your GOATly feet. Nice to see you little Heidi person.